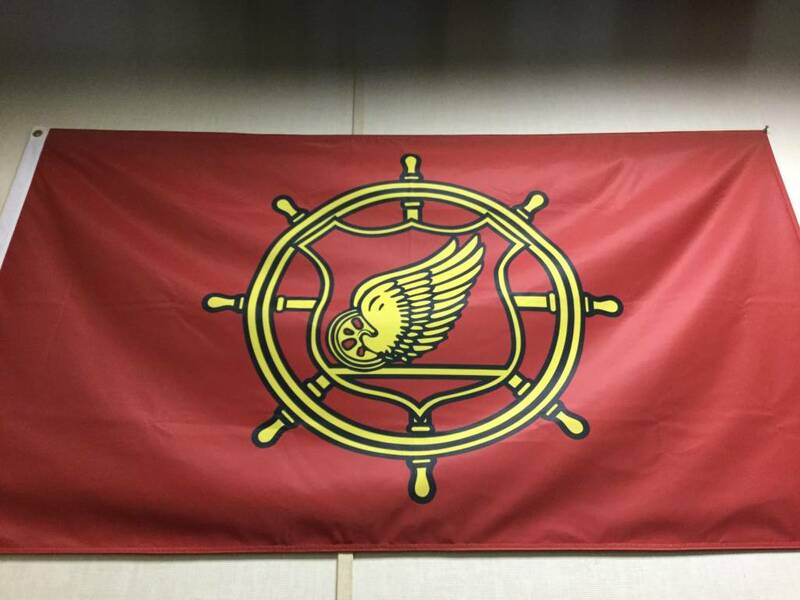 A 3'x5' Nylon flag in TC colors (Brick Red and Golden Yellow). 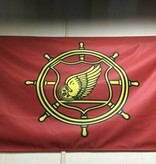 Transportation Wheel is imprinted on both sides of the flag. Metal grommets for appropriate display.